Providing you the best range of herbal cream, derma amaze skin whitening glutathione day evening cream, fruity papaya soap and likas papaya soap with effective & timely delivery. Ancient Beauty Secret formula made use of! !With the goodness of Olive extracts, Green Tea, Pure Pearl Powder, Saffron, Turmeric, Almond ,Honey extracts & Ancient exotic herbsFormula rich in Natural AntioxidantsBring back your skin which you had when you were born rediscovering that natural glowKeep Tan, Sun Burn, Pimples, Acne breakouts, Blemishes, Scars, Melasma, Under Eye Dark Circles, Pigmentation problems at bay.Get that Natural Glowing face just within days of usageNo Bleaching, Face packs required! This cream is formulated to whiten & hydrate the skin, reverse signs of aging, maintain skin suppleness and reduce wrinkles. 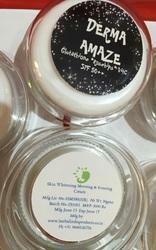 We have established ourselves as a renowned manufacturer and supplier of high quality Fruity Papaya Soap. 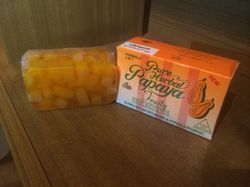 We are giving this papaya soap is a unique whitening soap incorporating the mildness of clear/transparent soap and the whitening property of herbal papaya soap in cube form. The offered papaya soap is processed by using safe ingredients under the visionary guidance of skilled professionals. 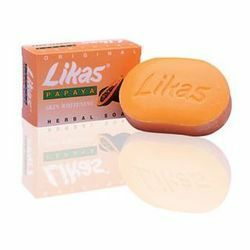 Backed by a diligent team of professionals, we have been able to offer an excellent quality Likas Papaya Soap that help reduces freckles or brown spots due to exposure to sunlight. The offered papaya soap derived from a mushroom in Japan that is widely used in the field of medicine and food. This papaya soap is tested from our side in order to ensure its precise composition. Moreover, our patrons can avail this papaya soap from us at nominal price.